We serve lots of delicious food for breakfast at Hillside Homestead. Here is the recipe for Oatmeal Cakes , which are pancakes made with leftover cooked oatmeal. 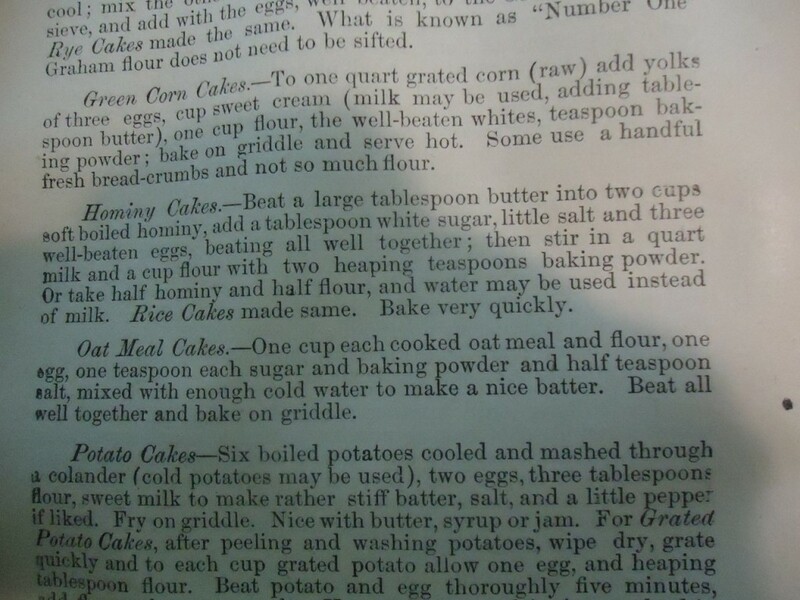 The recipe originally comes from the 1904 edition of “The Buckeye Cook Book”. Just about my favorite cook book of all time! I love to make these pancakes for my guests. Sometimes my guests even like to help! Learning to make a new recipe is fun and learning to cook on a wood stove is even better! I hope you enjoy this recipe. Drop me a line if you try it out! 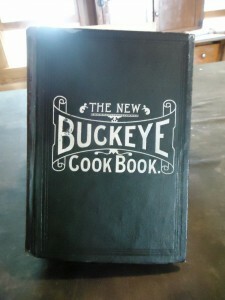 The New Buckeye Cook Book published in 1904. My all time favorite cook book! Oatmeal Pancakes the original recipe from the Buckeye Cook Book. Mix together the dry ingredients in small bowl. Mix together the wet ingredients in a big bowl. Add the dry to the wet and mix well. If it seems too thick add a bit more water to thin it out. This recipe doubles and triples quite nicely. Bake (or fry or cook in modern terminology) on a hot griddle. Flip only once. Serve hot with butter and maple syurp or warmed apple sauce or fruit,etc. Use your imagination add banana or squash or pumpkin to the oatmeal. You could use milk instead of water. Experiment with the amount of liquid to suit your taste. This recipe is a guideline, not a mandate. Enjoy! This entry was posted on Thursday, June 19th, 2014 at 12:07 pm and is filed under Food. You can follow any responses to this entry through the RSS 2.0 feed. Both comments and pings are currently closed.